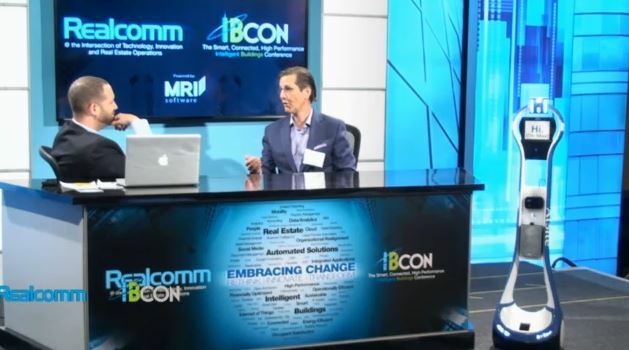 AtSite recently attended Realcomm / IBcon 2014 where it showed off it's modified VGo, nicknamed 'Max.' The robot has been fitted with a variety of sensors that enables someone to removely monitor the condition of a building, such as temperature and air quality. The VGo helps AtSite improve the quality and performance of their client's facility and real estate portfolios. "We are pushing the front edge of innovation and technology to help buildings be more efficient, to be more lean, green and clean." says Davor Kapelina, President and CEO of AtSite during the interview.